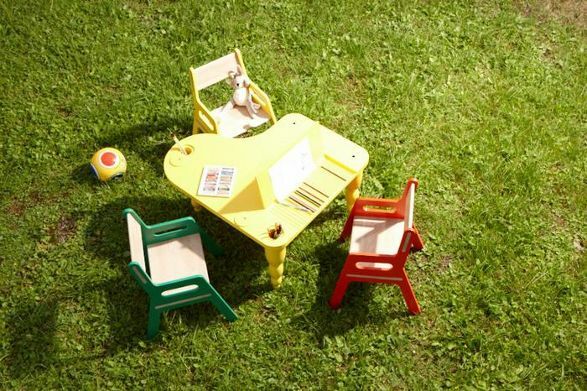 Recik, which was the main character of my last article, inspired me for further search for unusual tables for kids. I was surprised of how many original, clever and nice looking examples I have found. I'm gonna share them with you in the three following articles. First come the tables, which support drawing and painting skills development. So, grab you crayons and have a good time! Cuscino & Foglio by Domodinamica has a simple and classic construction. It is made in solid oak. The top is divided in two by a metal box structure holding pens and pencils. 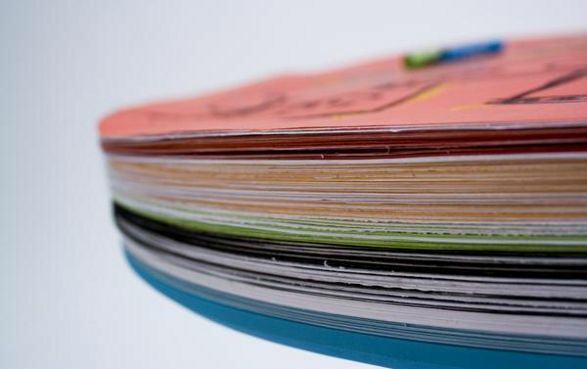 Over the top there are reams of paper in A2 format. 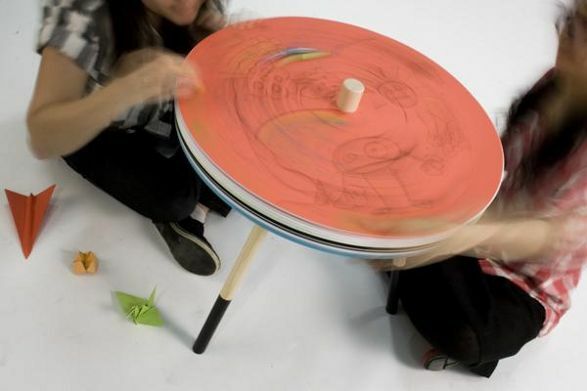 The aim of Come and Draw table by Tian Tang is promoting children's improvisational drawings in public places such as kindergartens and waiting areas. 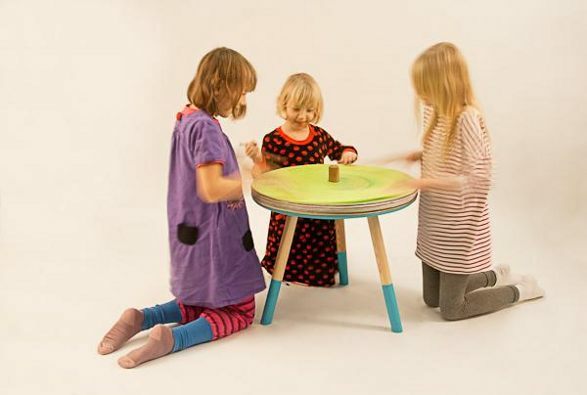 The tabletop is composed of layers of round colour paper, which can be spin encouraging share and collective creativity. The structure is made of MDF and pine wood. Fryderyk by Bellamy was created in 2010. In Poland it was a year of Fryderyk Chopin due to the 200 anniversary of the great composer's birthday. 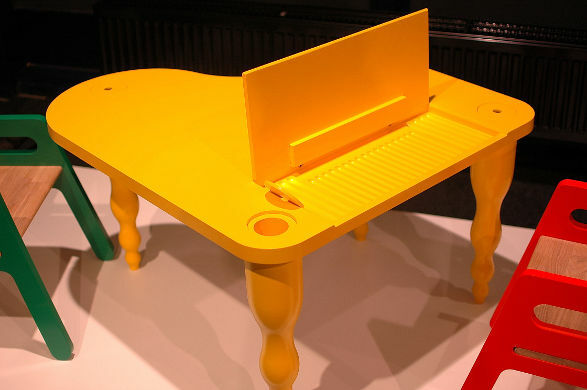 I guess it might have been an inspiration for designing a table with the top shaped like a piano and the cubbyhole with a damper resembling a keyboard … and named Fryderyk. 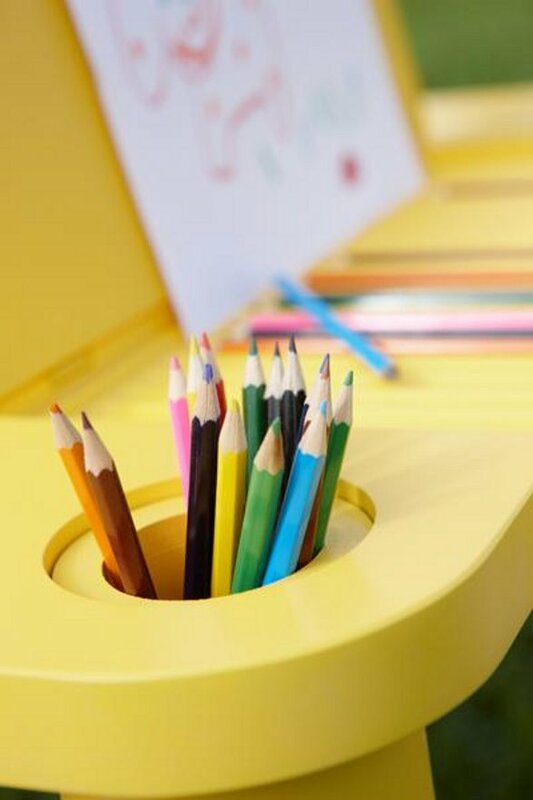 In the cubbyholes situated in the table legs and top, children may place all necessary tools: crayons, scissors, paints, etc. to keep their workplace organize. 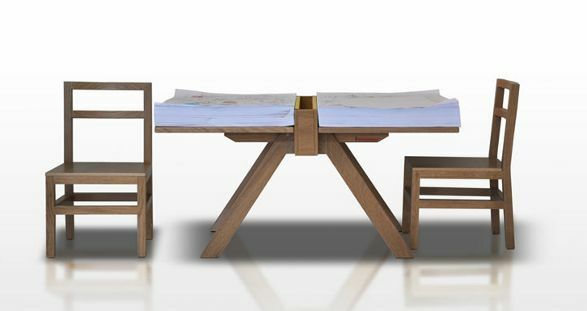 Fryderyk's assembly takes 10 minutes and the tables can be easily connected to each other in order to make a bigger table. Make Me Up! 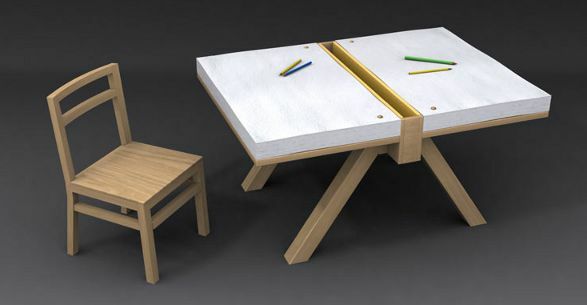 NEW by Knockoutdesign is another table designed to encourage children's creativity. It has printed graphic on the top surface designed to be drawn on. 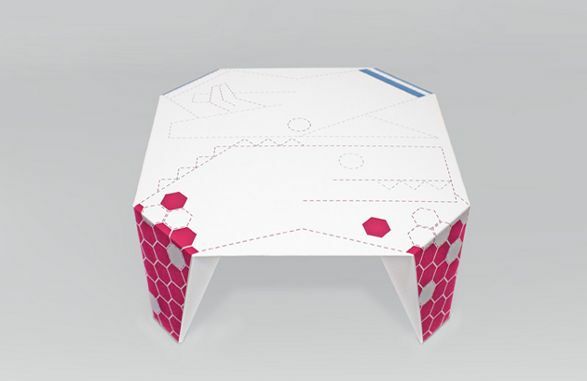 This table creates an opportunity to have an unique piece of furniture decorated by your child. As it it made of corrugated cardboard and shoelace it is fully recyclable … and intended for indoor use. Mini houses. From micro to midi.